The former BCCI president, whose company India Cements owns CSK, said the players were not at fault for the spot-fixing scandal. Former Board of Control for Cricket in India president N Srinivasan has said that Chennai Super Kings’ victory in the 2018 edition of the Indian Premier League was a result of the “simmering anger” among the players following the team’s two-year suspension. CSK won the IPL title for the third time last season after missing the previous two editions because of suspension. CSK, along with Rajasthan Royals, were suspended for two years by the Supreme Court-appointed Justice Lodha committee for their involvement in the 2013 spot-fixing and betting scandal. The committee also banned Srinivasan’s son-in-law Gurunath Meiyappan, who was a former team official of CSK, and Raj Kundra, former co-owner of Rajasthan Royals, for life. However, Srinivasan, whose company India Cements owns CSK, said that the players were not at fault for the scandal. 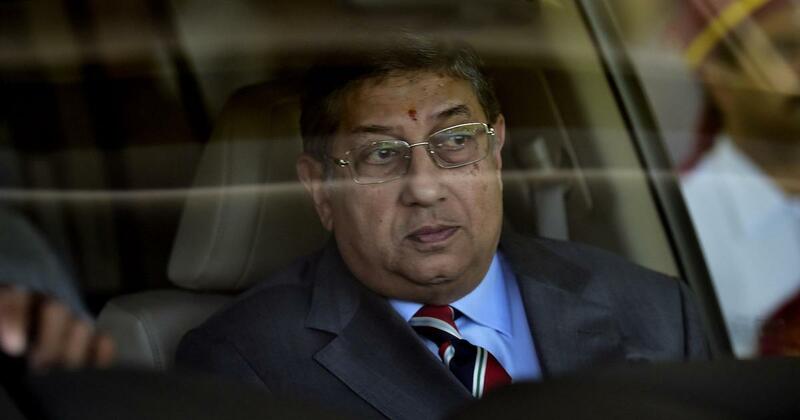 “No player made a mistake,” Srinivasan told the Times of India in an interview. “It was an attack on the superior performance of the team. Jealousy, maybe. “The team did not deserve the punishment they got. The simmering anger among the players for being treated like this is what brought about the victory [in 2018]. CSK are now the joint-most successful team in the IPL along with Mumbai Indians after 10 seasons. Srinivasan also criticised the current BCCI administration, saying that “everything is in complete disarray”. The BCCI is currently led by the Supreme Court-appointed Committee of Administrators, comprising former Comptroller and Auditor General of India Vinod Rai and former India cricketer Diana Edulji. 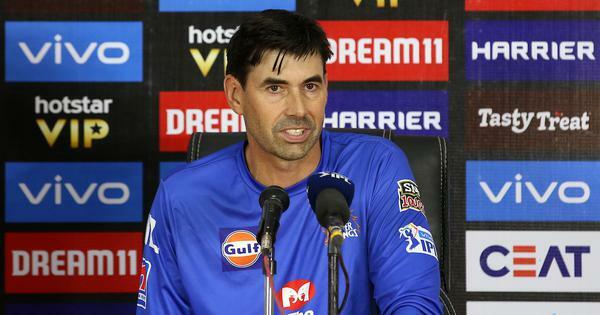 “There is nobody to take decisions, rules are being changed in domestic cricket to suit personal needs, there are no committees (disciplinary, technical, etc) in place,” Srinivasan was quoted as saying. Srinivasan also refuted claims that he was responsible for the mess that Indian cricket administration finds itself in. “I would not like to comment upon a verdict given by the court,” he said. Srinivasan also hinted that he is looking to return to the top of Indian cricket administration. “Heading the BCCI is a public position and it comes with its share of problems too,” he said. “But I’ve always been a fighter, and let me tell you, they picked on the wrong guy. You may defeat me and I’ll accept it but I won’t lose and go away,” he added.